The finishing of the shoes is the last step manufacturing process to achieve the final appearance and to make the shoes nice and attractive. We offer wide range of finishing agents to his process. Our materials are easy-to-apply and dry quickly. Furthermore, they are not toxic, nor they have any unpleasant smell. 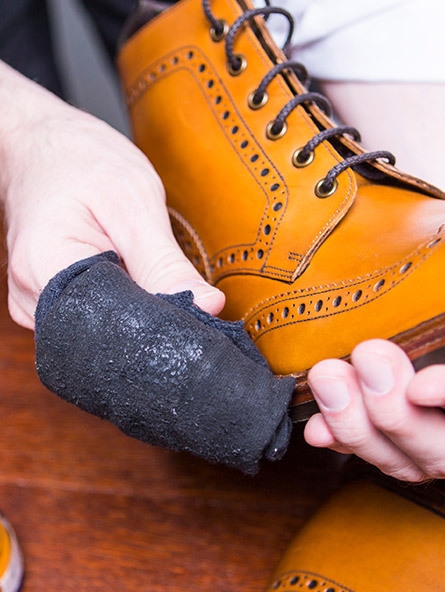 We distribute uppers cleaners used to remove manufacturing impurities, natural fat, or any objectionable pollutions without damaging the surface of the leather. We offer a wide range of waxes cremes and sprays in different colours. These products can be easily applied and dry quick, while they give the upper a natural shine. Moreover, we provide different finishing products for leather and PU sole treatments.